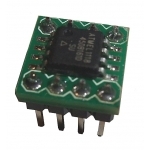 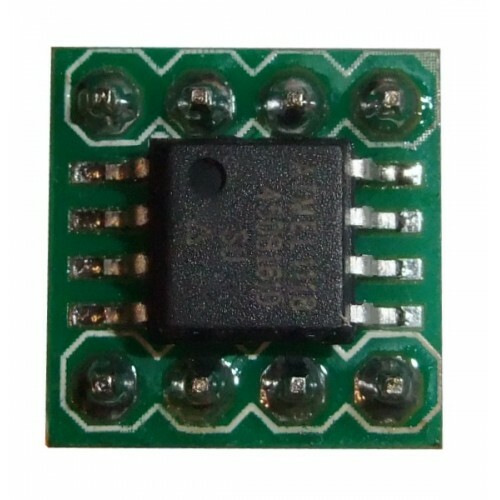 This is our own version of a SOIC to DIP Adapter 8-Pin. 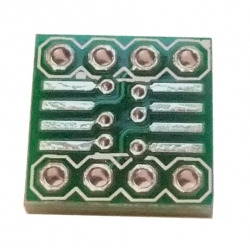 This board will allow you to mount an 8-pin SOIC package, and with the use of standard header pins plug it directly into an 8 pin DIL socket, breadboard or PCB. 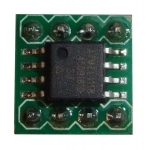 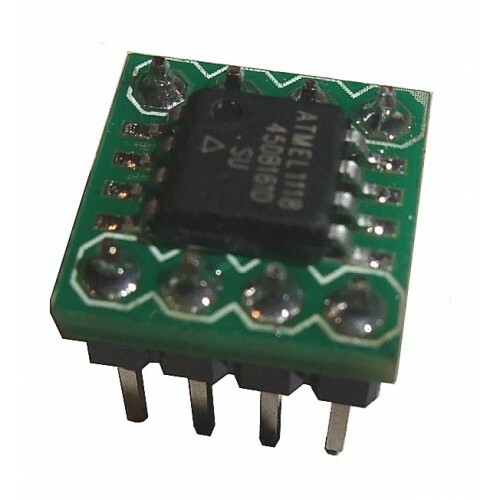 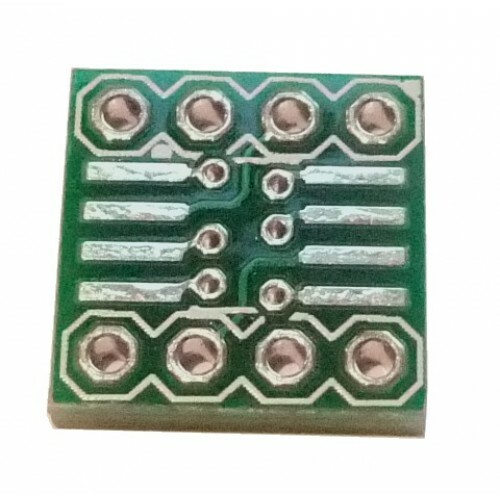 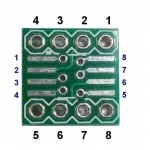 The wide tracks allow both narrow and wide SOIC 8-pin packages to be accomodated. 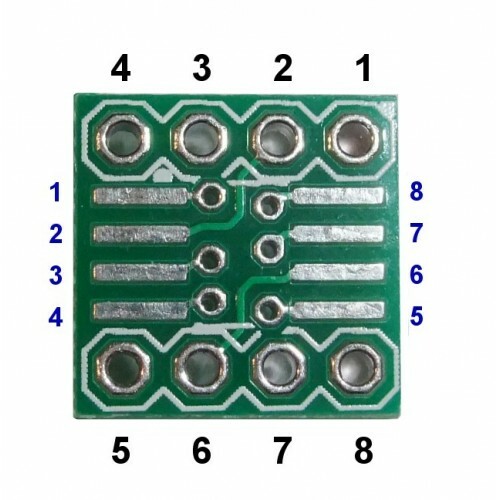 There is a DIP-standard 0.3" spacing between the two rows of pins.